Emotions have colours, we’re all familiar with those: envy is green, rage is red, sadness is blue. Well diseases have colours too and cancer is a shade of grey. And although I love grey – many rooms in our house are painted in varying shades of greyness; numerous items of grey clothing hang in my wardrobe – we’re not talking interior-designed, mood-enhancing, goes-with-everything grey. If shades of grey paint are named after the breath of animals and manor houses and pavilions, cancer’s colours are worthy of significantly less aspirational names. Here are some I think might work: Cold Porridge, Breeze Block, Pavement Chewing Gum, Dirty White Sock, Cobweb, Old Bra, Hangover Face, Hoover Dust, Coated Tongue, Cement Shoes. OK I’m going to stop now. You get the idea. In a scenario where what you desperately want, what you need, is monochrome – the stark, sharp contrasts and certainties of black and white – perpetual, interminable, fuzzyness can be really hard to deal with. Since Oscar was diagnosed almost three years ago, we have come to realise that many aspects of coping with and fighting cancer are frustratingly, frighteningly uncertain. February 14th 2017 marked two years since Oscar completed his treatment: Valentine’s Day will now always be less about hearts and flowers and more about that very significant anniversary and (while we are lucky enough for Oscar to remain healthy) feeling happy and so grateful for every one that passes. So on Valentine’s Day a few weeks ago, we celebrated. 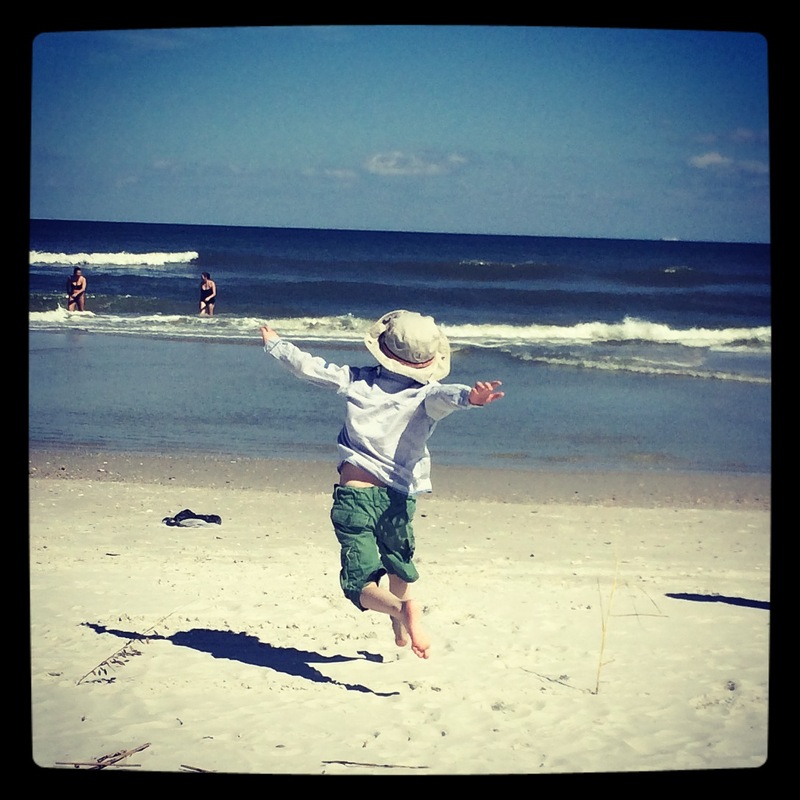 But not too much: Oscar’s 4-monthly MRI was scheduled for the following week so we wanted to wait see what that showed. And then, when the MRI results showed no change at the site of Oscar’s original tumour, we celebrated. But not too much: Oscar had been complaining of back pain in the exact area of the original tumour intermittently since Christmas and we wanted to discuss this with his consultant. And a few days later, when she had checked with the radiographer and told us they were both happy that the scan showed no evidence of disease in bones or soft tissue, there were no celebrations. Because it all felt a bit anti-climactic. And, somehow, the most wonderful news got almost lost in the inevitable greyness of it all. So you learn to live in the fuzzy, blurry, greyness, because you have to. And if you can’t have lovely, crisp monochrome, the best thing you can do is to punctuate the grey with flashes of technicolour; to inject as much kaleidoscopic, psychedelic brightness and vibrancy as you can into cancer’s bland pallor. To make life explode with retina-burning, neon-bright, blockbuster moments . Last week, Oscar, like millions of other children, started a new school year. It was a bigger deal for him than most. 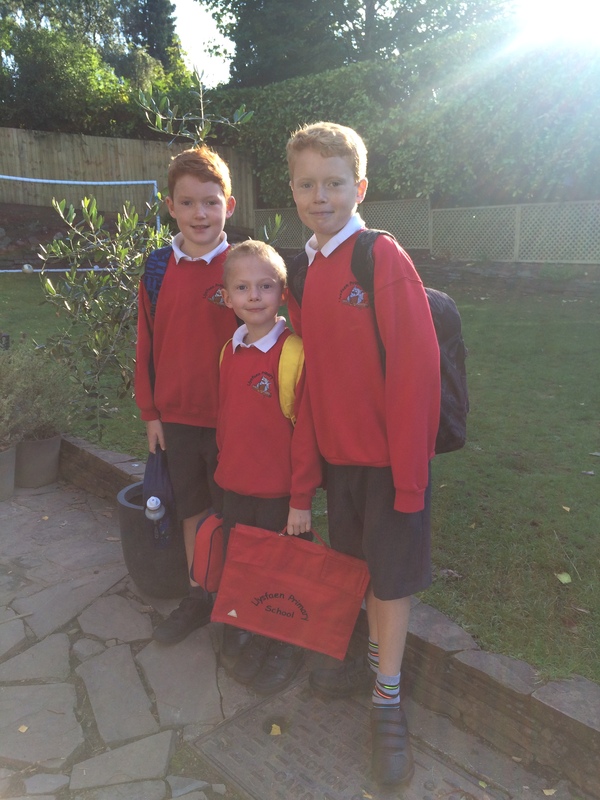 At the beginning of the Summer we were unsure whether Oscar would be able to return to school at all, so to see him go through the school gates just like his classmates, with the hope that he might be able to settle into some sort of normal school routine for the first time in 18 months was just brilliant. I expected to feel emotional and headed up to school on the first day of term in my most oversized, face-hiding sunglasses. But actually there were no tears, just happiness and relief, that we have come through a horrendous few months of worry and stress and are back to standard post-treatment monitoring and a fairly normal life. Enormous bullet dodged, in theory the rest should be easy. Except that one day this week, standing in the playground, discussing something relatively trivial with Oscar’s teachers before school, I had to fight back tears and felt more emotional than I had done through most of the really tough times weeks before. One of the side-effects of Oscar’s cancer has been on his toilet habits. His initial symptoms, for many months before diagnosis, were bowel-related and he continues to have ongoing problems. It’s not yet clear whether this is something that will correct itself in time, or if it’s permanent damage that he will have to live with and manage for the rest of his life. A gastroenterologist, a neurologist, radiographers and his oncologists are currently trying to figure it out. A couple of things make this relatively minor problem harder to deal with than I might have anticipated. The first is that, having spent the last few months in fight mode, now my defences are down and my body isn’t producing all its clever, emotion-surpressing, battle-raging, world-beating chemicals which it seems to do automatically in times of severe stress. My virtual body armour was happily deflecting huge, craggy boulders dropped from a great height a few months ago. Now I’m vulnerable to small pebbles tossed gently in my direction. The other is that it upsets Oscar, a boy who has been through some really terrible, horrible things with barely a complaint and for the large part smiling. This I seem to find almost unbearable, and as a result it’s becoming a bit of an issue. I am very bad at denying him almost anything which would make him happier: Haribo at 11pm, X-Box games, puppies… Clearly, this is not a sustainable, long-term parenting strategy and I am working on it. And so in some ways, that is exactly what this is: a nice problem to have. It is minor in terms of the potential ongoing after-effects of the huge tumour which was growing into the nerves in Oscar’s spine 18 months ago. And after the stress of the last few months we are more aware than ever that we are so incredibly lucky that Oscar is back at school, happy and healthy and for the most part being a regular 6 year old. But that doesn’t make it easy. Sometimes it’s the small things that crush you. I’m not sure I’m cut out to be a blogger. Most bloggers seem to write frequently and regularly; most blogs seem to be spontaneous, stream-of-consciousness type musings. I think that’s the point. Whereas at my most prolific I seem to be managing about one a month and each post takes days to write, while my thoughts re-shape themselves from the tangled mess in my head to neater, more orderly lines on the page. So this is my first blog post in a while. But not because (with a clear MRI and chest x-ray following my last post and with James’ run completed) life has become so drama-free and dull that there’s nothing to fill the page. No, not that at all. Some things are so painful to contemplate that you can’t even allow yourself to think about them, much less talk about them or write them down. Turning them into words makes them real. So you bury them deep below the surface and carry on living. 7 weeks ago we had our first family holiday since the Cornwall trip when Oscar became ill. Sitting in a restaurant in Rome on the first night I was so happy I could have cried. Here we all were appearing, to all intents and purposes, like any normal family. Oscar had grown a sufficient amount of head-covering fuzz so that he was no longer flagged up to the world as having cancer and we were spared the stares and sympathetic face-pulling from strangers we’d become used to. And so we enjoyed a ridiculously perfect few days in Italy: opening the shutters of our apartment each morning to blue skies and the sound of opera-singing and piano playing from across the street; the thrill of helter-skelter, near-miss, taxi-rides; the breath-taking sights of Rome; the best (cheap, simple, delicious) food and wine; and most wonderful of all, not so much as a drop of Calpol required. So I had planned to return home and write a blog post about our glimpse of happiness and about daring to contemplate the possibility of life returning to lovely, dull, uneventful normality. In short, a post that was slightly more uplifting and feel-good than my others. It didn’t quite work out like that. On the last morning in Italy, as I lay with my arm around Oscar in bed, he asked me to move it off his ‘baddy’; as I dressed him for breakfast, I noticed a slight swelling in the same place on his chest. And so followed slightly panicky calls to the hospital and, once we arrived home the following day, meetings with consultants, some poking and prodding and questions (most without answers) and then, though it was almost certainly nothing to worry about, a bone scan just to be sure. It’s hard to explain the ferocious, gnawing terror, locked away somewhere deep, deep inside, as you sit with your child while they have a bone scan, trying desperately to stop your eyes looking at the screens around the machine, because you will see things you don’t understand and will worry about them. As you wait outside the scan room for confirmation that the experts are happy with the pictures; and then wait a bit longer for a more senior opinion; and are then told that actually they would like a couple of x-rays as well. As you stand in the x-ray room while they x-ray bits you would expect them to and (more worryingly) bits you wouldn’t. And then a long 24 hours, stomach somersaulting each time the phone rings displaying ‘No Caller ID’ (I have never felt rage against automated cold calls quite so acutely). And then, with no call from the hospital by the end of the following day, daring to assume that no news must mean something other than dreadful news. And so letting your guard down enough to go for a swim. Another image forever burned onto my brain: James’ face a foot from mine as I surfaced at the end of a lap. Then throwing on my clothes and, hair still dripping, driving together, mostly in silence, to the hospital. Without being overly dramatic, it feels like Hope is what has kept us alive these last 15 months. Hope has filled our lungs and allowed us to breathe and eat and sleep through the worst of times. It has given us something to cling to, to lift us up above the fear and terror and helplessness that have often threatened to overwhelm us. Hope is a helium balloon, carrying us out of despair and dark places towards blue skies and sunshine just as long as we keep holding on tight to the string. At the meeting with our consultant that day, Hope was all but destroyed. Several hotspots on the bone scan had only one possible explanation: Oscar’s cancer was back. The fact that it had happened so soon and so aggressively after the end of treatment meant that, realistically, the prognosis was not good. Looking for a small glimmer of light, anything at all we could still cling to, we were told ‘miracles happen’. And so a new emotion took over. I don’t know what the dictionary definition of Dread is, but to me Dread feels like Fear without Hope. 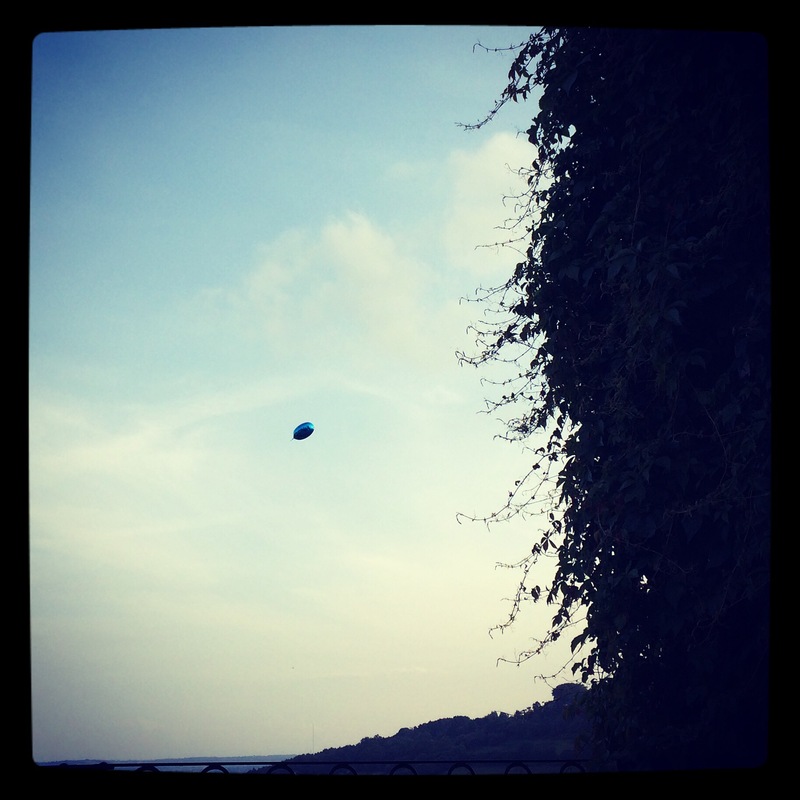 If Hope is a helium balloon, Dread is a paving slab. As we sat in that meeting with our consultant, Dread was prising my fingers, one by one, off Hope and quietly sliding it’s monstrous, suffocating lump of concrete onto my chest. In the following days it was physically difficult to breathe. More tests were arranged and carried out (an MRI, CT, X-ray, PET scan and biopsy) and little by little, day by day, week by week, small glimmers of optimism reappeared. A couple of the hotspots were ruled out as causes for immediate concern, suggesting that, even if it does turn out to be a recurrence of cancer, it’s not as aggressive as originally feared. And so here we all are, an agonising 7 weeks later. 7 weeks when we’ve tried (but often failed) not to cry at cheesy, overly-sentimental TV ads (nothing unusual there, admittedly); when we’ve obsessively taken photographs of mundane, insignificant things we don’t trust ourselves to always perfectly remember; when we’ve welled up unexpectedly at song lyrics – most songs can be poignant if you’re in the right mood, but try sitting in Wembley Stadium while 90,000 people sing along to Ed Sheeran’s ‘Photograph’ with dry eyes. I have started to believe in miracles And, more specifically, in the ability of Oscar to pull one off if anyone can. 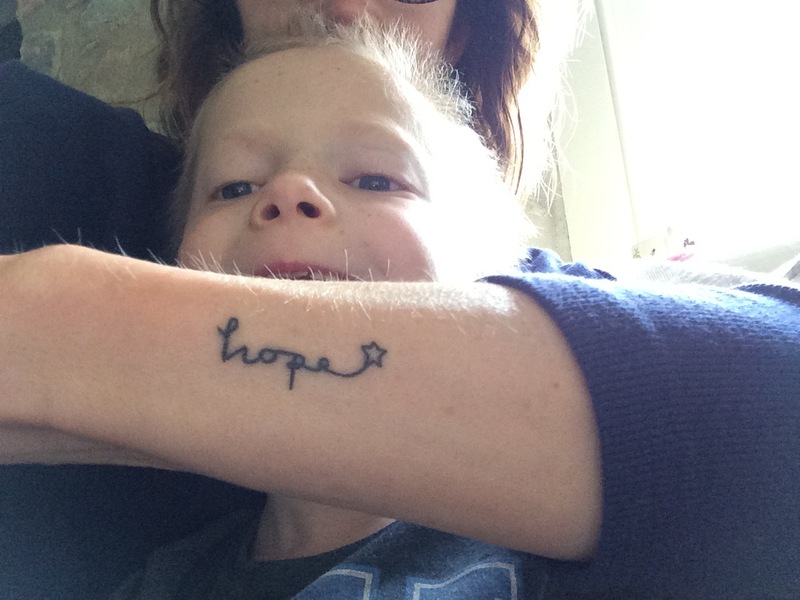 And I have given myself a permanent reminder to never, never, NEVER let go of Hope. What choice do you have when your only chance is a miracle, but to hope and to believe that one can happen? 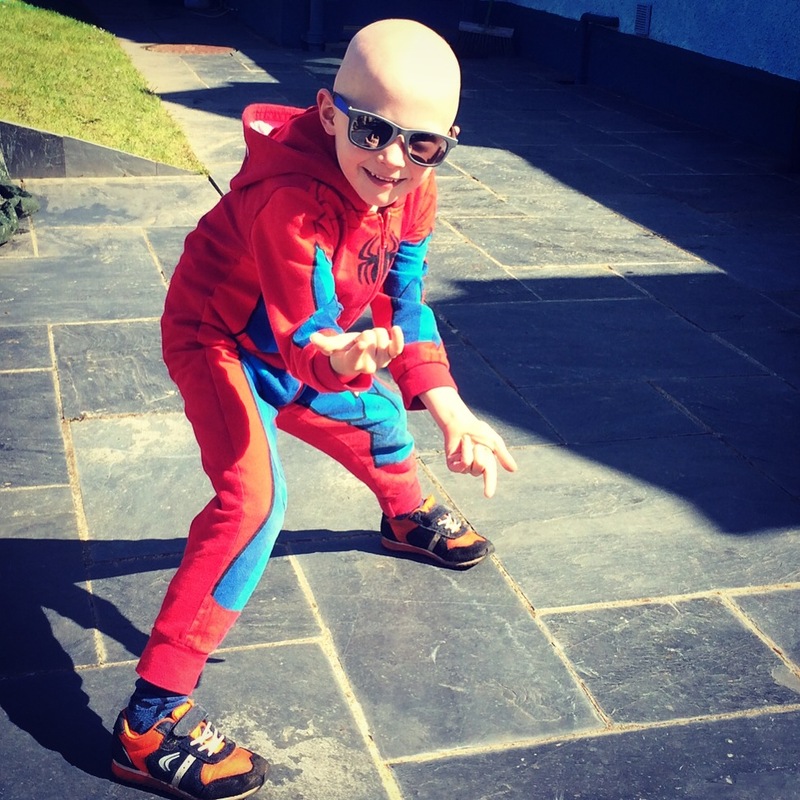 There was a very steep learning curve for all of us initially when Oscar was diagnosed with cancer. I suppose I’d never really spent any length of time considering in any detail what living with cancer actually means – and really, why would you if you didn’t have to? It’s not the most uplifting way to spend your spare time. Beyond the obvious physical side effects – that it makes your hair fall out and you seem to spend a lot of time vomiting – I’d never really considered what living with cancer means in practical terms. So one of the most unexpected things for me, now I know way more than I hoped I would ever need to know about it, has been the way it makes you feel so extremely isolated. Partly, this is because for a lot of the time you are physically isolated. When Oscar was first diagnosed we spent every single night for the first 5 weeks in hospital and, apart from the odd few hours where we managed to sneak home, every day too. After that, his treatment was in 3 week cycles of 4 days (and at least 3 nights) of inpatient chemo, followed by several days when he felt too sick to do anything or go anywhere, and then a period where his blood levels dropped so low that he had very little ability (sometimes none at all) to fight infection, which invariably meant he developed an infection and was re-hospitalised for treatment and monitoring until he recovered. Which was usually just in time for his next cycle of chemo. In the first 6 x 3 week cycles we were very lucky if there was more than a single day in each cycle when he was at home, feeling well, with a high enough blood count to allow any interaction with anyone other than close family. Things we had previously taken for granted like visits to the cinema or even supermarket shopping trips became rare luxuries. I heard another Mum on the ward tearfully (and perfectly) describing it as like being under house arrest. But equally difficult to adjust to is the sense of emotional isolation. As a family we really could not have asked for better support from our family and friends, or imagined the lengths that they would go to, so way, way above and beyond the call of duty, to support us through this. But there is still something about the whole experience that makes you feel so very alone. At some point the realisation hits you, that no matter how hard they try or how much they really want to, no one (other than maybe your very closest family members) really gets it. It’s not a criticism, or anyone’s fault, it’s just the way it is. Friends have cried with us, laughed with us, made amazingly delicious meals for us, looked after our other children, visited us in hospital with all manner of goodies, given lifts in the middle of the night and been there for us in so many ways. But after Oscar had been ill for a few months, Summer came round and people started doing their usual fun Summer holiday things. It wasn’t so much that I felt jealous of them, it was more just the disappointing realisation of something that hadn’t previously occurred to me. Another small lightbulb moment: that for almost everyone else, the whole experience was optional. That other people were able to opt in to our miserable world for a few hours (and, incredibly, voluntarily so often did) but could then opt out again and do nice things. Or just do things, even dull, tedious routine things and carry on with normal life, while we were stuck: inert, impotent, existing but not living, barely even breathing. Which is one of the reasons why the unbelievably brilliant response to James’ fundraising these last few months has been so overwhelming. Lots of people who find themselves in similar circumstances seem to end up spending a lot of time fundraising for charity and I think I now understand why. It makes you feel slightly less powerless, like you have taken control of one small part of your messed up lives and are making something good happen out of something bad. It’s what small charities like LATCH, which don’t have the resources to advertise, depend on. So you start because it feels better doing something than nothing and because you know what a difference the charity has made to you, in small ways and big ways, and you want them to carry on helping others like you. But the unexpected, utterly wonderful bonus for us has been that suddenly everyone who’s been out there, thinking of you but not knowing what to do to help, suddenly becomes visible and tangible through their donations and heartfelt messages of support and survival and hope. The fact that so many friends have volunteered to run with James this week is a brilliant example. There is no glory in running 50km along A roads through Berkshire. No PB to feel smug about; no crowds lining the streets, reading the name off your shirt and shouting encouragement; no nice shiny medal at the end. No real sensible reason at all for doing it. Yet this week so many people have done it, in many cases no doubt against their better judgment and despite the protests of their aching bodies. 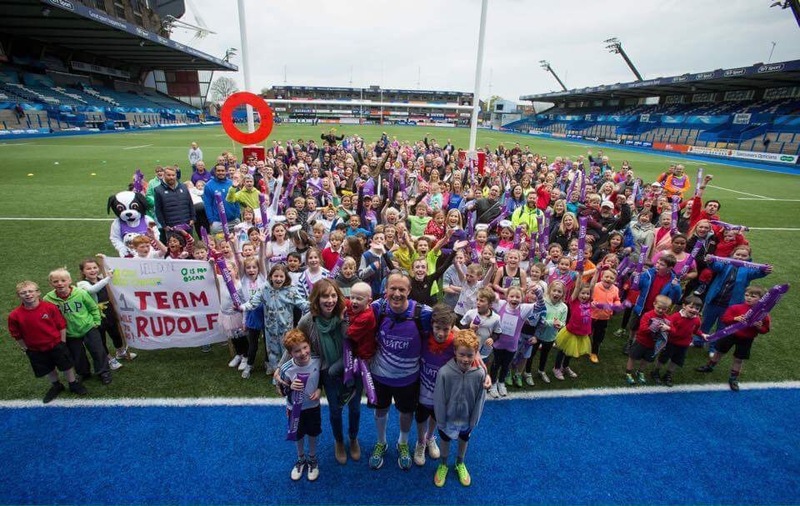 School children have made costumes and been so excited about running their mile, egged on by assemblies, endless enthusiasm and encouragement from parents and the absolutely wonderful team at Llysfaen. People have stopped me in Asda or on the school run to say, often quite emotionally, how brilliant they think it all is. There has been a real genuine sense that there is a whole community of lovely, lovely people doing it all with you. It’s a really uplifting thing, knowing that a bunch of kind-hearted, caring, generous and all round wonderful human beings, some of whom have never even met you, have got your back. That however lonely and isolated you may feel at times, you are very definitely not alone. Staying on the paediatric oncology ward is always a sobering experience and being back here the last couple of days has been both fairly bad timing and, in a way, perfect timing. Because it’s a very timely reminder of what all of this has been for. It is always almost unbearably painful to see families with recently-diagnosed children whose parents are literally physically reeling from shock; to spend all day and all night on a ward where, most of the time, you can hear a child crying or moaning in pain or vomiting. If LATCH can make their lives even the tiniest bit easier, even if it’s just by buying them some tea bags, then together, all you wonderful people who have run and supported and donated or even just ‘liked’ a Facebook post and so spurred everyone on, have done a very good thing. Well done you. It’s hard not to become completely fixated on the future and obsessed with the passing of milestones and anniversaries when your entire focus is on rushing through time to a point when you are hoping things will be better, on putting as much distance as possible between you and the awful thing that caused all the trouble in the first place. As a family we have got through much of the last year by clinging to milestones. Focussing on certain events, big and small, has allowed us to feel we are making progress: counting the hours since the last temperature spike, the days to the next cycle of chemo, the weeks and months until the end of treatment. Having reached the end of Oscar’s planned treatment, the milestones currently on the horizon are now all about getting as far into the future as possible without his cancer recurring. At our end-of-treatment review with Oscar’s consultant we asked her, if she were us, when she would start breathing again. Never one to fudge an answer, she answered simply “I would start breathing in 12 months.” Beyond that, three and five years post-treatment seem to be the standard periods when statistics start to make less terrifying reading and if we’re very lucky will take us to a time when we can even start to relax a bit. In the circumstances, getting through Easter this year felt like a minor achievement, another baby step on the road back to a happy life, because Easter weekend last year was when we first realised there was something seriously wrong with Oscar. And though I’m sure there are no particularly good times of year to become very ill, all things considered Easter really is a particularly rubbish one: 4 consecutive days when absolutely nothing happens and then afterwards you’re forever stuck with two anniversaries; the days when Easter falls and the actual dates things happen. Although the rational part of my brain thinks we should feel happy that here we are one year later having a less terrible time than we were last Easter, actually somehow it doesn’t feel like a positive thing. It just makes me want to acknowledge the passing of an awful year by engaging in a pointless but monumental sulk with the universe. Sometimes a small amount of wallowing works wonders. Last Good Friday, on holiday in Cornwall, Oscar spent the morning playing tennis and generally bouncing about, but by late afternoon was lethargic and had started saying “I’m not well”. Such small words to describe such a big problem; I can’t begin to imagine how dreadful he must have been feeling by that time. We didn’t start to properly understand until much later that night when his abdomen had become so swollen and deformed in shape that he couldn’t stand straight or walk across the room and we took him to an out of hours GP near our holiday cottage in Cornwall. 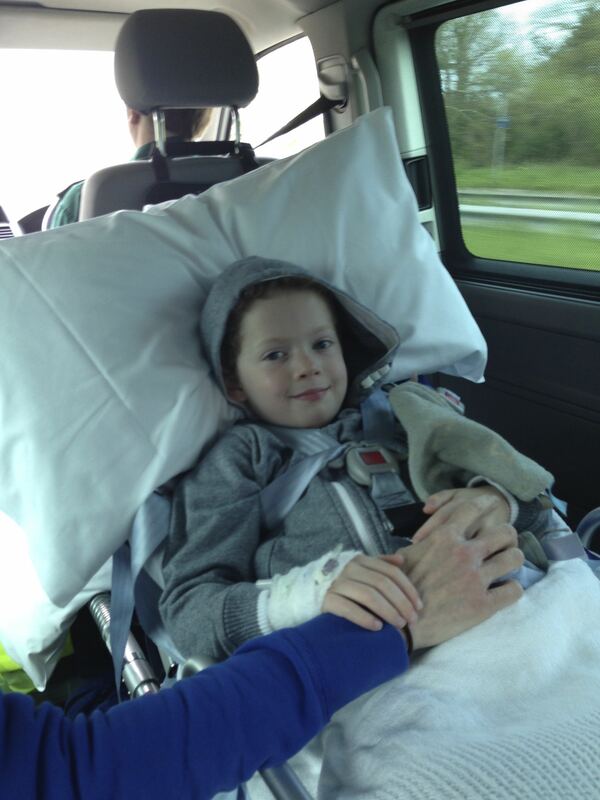 48 hours later, James, Oscar and I spent most of Easter Sunday in an ambulance being transferred from Cornwall to Cardiff, Oscar sleeping for lots of the journey, me crying inconsolably for the first time as he lay on a stretcher next to us, looking so painfully beautiful and so utterly innocent. 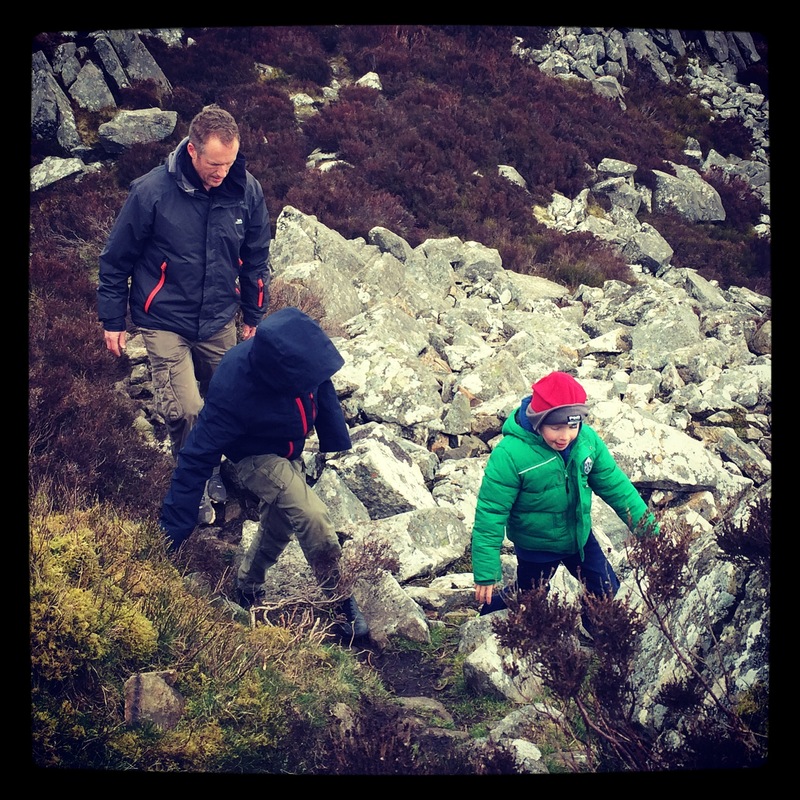 So this Easter was a definite improvement: we climbed mountains and hunted for eggs; we drank prosecco in the garden and played capture the flag in the sand dunes. Oscar, as usual, seemed to have more energy than any of us and not for the first time I found myself hoping that his energy and enthusiasm will translate into something real and tangible; that his little body will prove to be as strong and apparently unbreakable as his spirit and will get us all through this to a time when we can breathe normally again. Until then, we’ll carry on ticking off milestones, big and small, as we creep quietly past them holding our breath. This Easter: climbing mountains in the sunshine. It’s quite exhausting being positive all the time. Or rather, it’s exhausting having a child with cancer and being positive all the time. I assume it’s even more exhausting being a child with cancer and being positive all the time, though that doesn’t seem to be the case with Oscar. 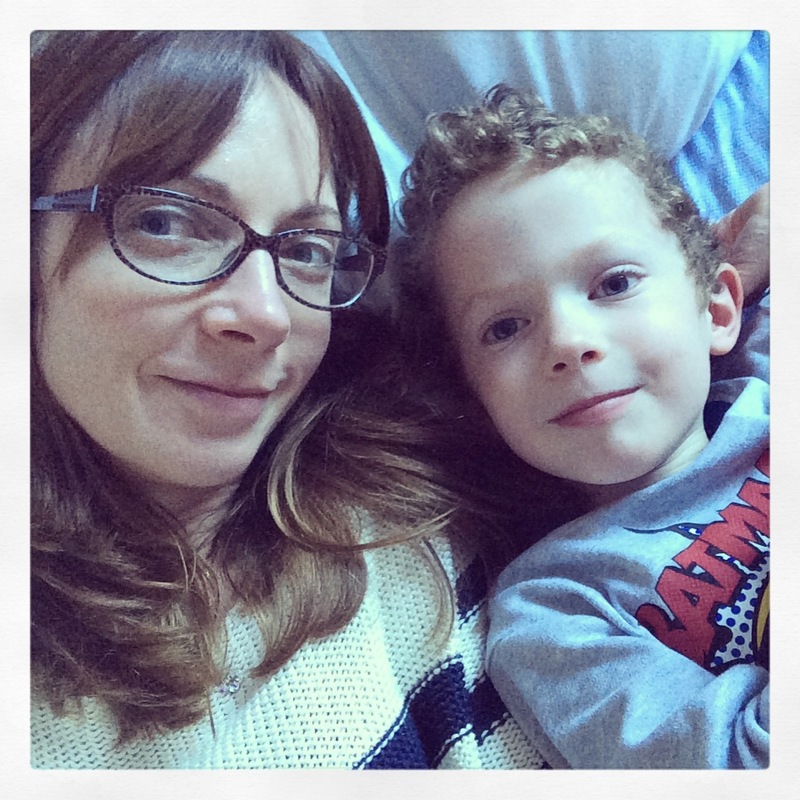 Before he became ill I used to describe Oscar as my antidote to sadness – not that I ever was particularly sad – but just that it was, and still is, almost impossible to be anything other than happy when he’s around. He finds the fun in absolutely anything. A skill which has been seriously challenged in a year a large proportion of which has been spent in hospital, feeling ill and in pain. Together with his natural sense of fun and happy disposition, he doesn’t dwell on anything or overthink it. This may be partly an age thing but it’s also just the way he is. As a result it’s easy, but undoubtedly wrong, to assume that he hasn’t been affected emotionally by the last year. And then occasionally something will happen or he’ll say something which will remind me that everything is being taken in and processed and in some way understood. When we were first in hospital and knew that Oscar had a large cancerous tumour in his pelvis, but not what type of cancer it was, or whether it had spread and so what his chances were, or truthfully if he even had any, we spent several long days and nights waiting for results of biopsies and scans and tests. Late one night, Oscar was wide awake, his mind whirring as he chatted away about anything and everything. In between the usual subjects 5 year olds get excited about he suddenly said “Mummy, I won’t die will I? Because I have to be a grampa and you have to be a granny before we die.” I love this for it’s simplicity – the little boy’s clear cut take on life and death and also the way it’s Oscar and me growing old together, no thoughts of a future wife or girlfriend yet, just him and me. I’m not sure how I managed to breathe never mind answer him. This week, since he’s started back at school he’s been slightly tearful in a way he absolutely never is and it’s reminded me that he isn’t actually bulletproof; he’s a 5 year old boy with anxieties and emotions and questions. If I’m feeling anxious and upset about being separated from him, it’s hardly surprising if he is too. Normality is what we all craved at the start of this but in a funny way the prospect of returning to a new version of normality is what feels so scary now. Oscar and I have been together almost every waking moment and most of our sleeping ones too every single day of the last year. 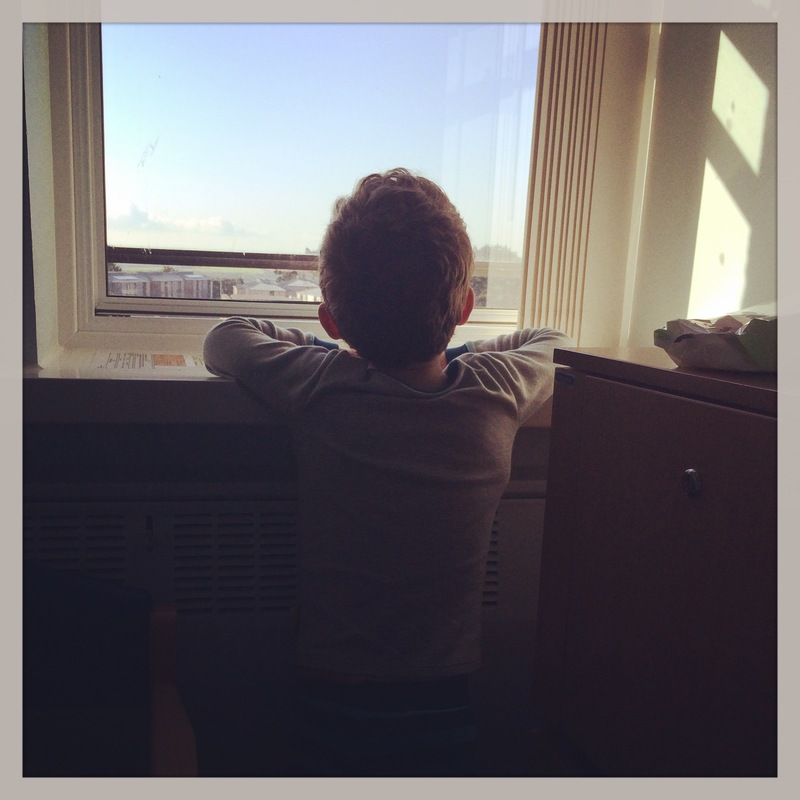 Separation, even for a few hours while he’s in school, is a huge adjustment for both of us. We have all focused this last year on getting to the end of Oscar’s treatment and having finally got there is difficult in a different way. Now there’s no routine of chemo or proton or any other positive steps we can take to rid him of the cancer, we are left literally just waiting: for nothing to show up on his three monthly MRIs, for no new symptoms to occur, for (with any luck) nothing at all to happen. Turns out waiting for nothing is quite exhausting too. For someone not known as particularly technologically competent, this week I’ve had a very good week: I’ve made a code which when scanned by a mobile phone links to James’ justgiving page (even James was impressed by that one) and now a blog – yay! The weird thing about starting a blog at this point, almost a year after Oscar’s cancer was diagnosed and a month after completion of what we hope will be his last chemo, is that it might seem a bit late; that most of the drama is over and that life can now go back to normal, crisis endured and assigned to history. But I’m not sure that for us as a family life will ever be what we used to consider normal again. Oscar’s cancer is something that has worked its way into our family DNA, figuratively as well as literally, and will always form an essential part of who we all are, as individuals and also in our relationships with each other and the rest of the world: as parents, spouses, offspring, siblings and fundamentally the way we all function as human beings. Before Oscar was diagnosed, it would have been unthinkable to any of us that we could endure the events of the last year. If someone had told me it was going to happen I think I would have assumed that most of my time would be spent in a heap, weeping hysterically (probably with one of those snotty dribbles on my lip), overwhelmed by a feeling of sheer terror. But (fortunately) that doesn’t seem to be how it works. I’ve lost count of the number of times people have said to one of us “You’re coping so well, I don’t know how you do it”, but truthfully, neither do we. In a similar way to bereavements or other devastating life events I suppose, us human beings seem to be incredibly well designed to cope with awful things in a way we would never imagine we could. In my case, the best way I can describe my experience of being Mum to a 5 year old with cancer (and to his 3 brothers) is that a lot of the time it all feels like it’s not really happening to you. Days and weeks go by as you deal with the routine of treatment, hospital stays, illnesses, clinic appointments, together with all the usual stuff like school runs, supermarket shops and birthdays. And although of course you are incredibly aware that you are actually living through your worst nightmare, somehow most of the time it doesn’t overwhelm you. For me it’s a bit like knowing that there is this terrifying, impossibly hideous, intangible thing right under the surface of everything that happens and everything you do, just out of sight and contained, but which occasionally seeps out, around the edges, and overwhelms you, before you get it all tucked back in again and carry on. On a couple of occasions, when we’ve been in hospital with nurses setting up Oscar’s chemo on the drip stand next to his bed, I’ve caught sight of his name on a chemo bag and a little neon sign that says “This is really happening” has lit up in my head for a few minutes. 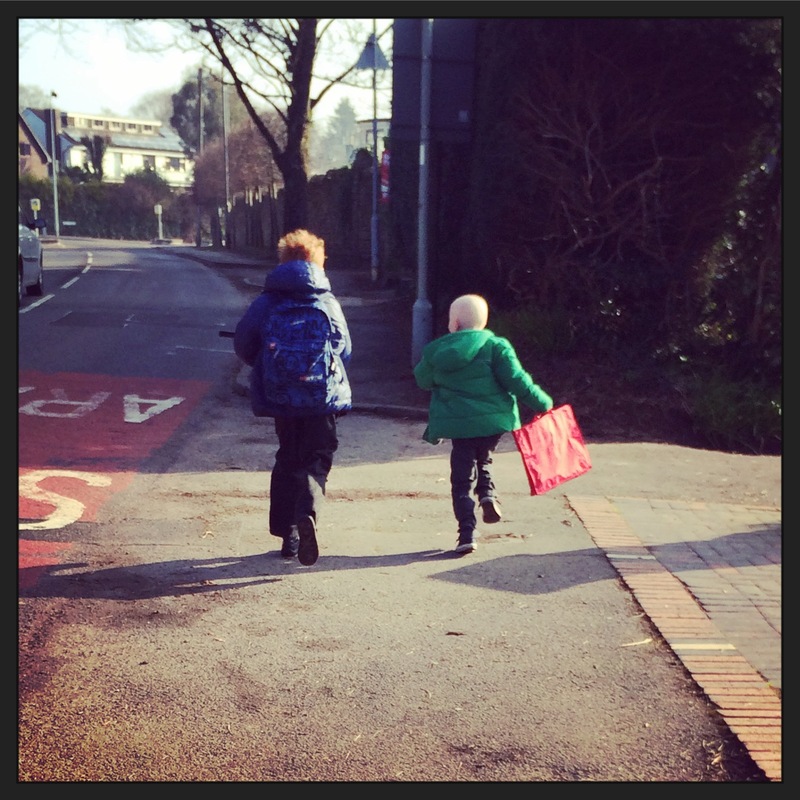 Today I had one of those moments as I walked Oscar across the school playground to line up with his class for his first morning back at school in almost a year. The bright sunshine shining off his small, bald head made me see him for a minute through the eyes of someone else, which in a very weird way felt more real and almost harder to cope with. For some reason that small moment is a vivid image burned into my brain: my little boy in his bright green coat in the beautiful Spring sunshine. And then the neon light went out, the freeze-frame started moving again and the morning ticked on.